Aberdeen International Airport in Dyce. 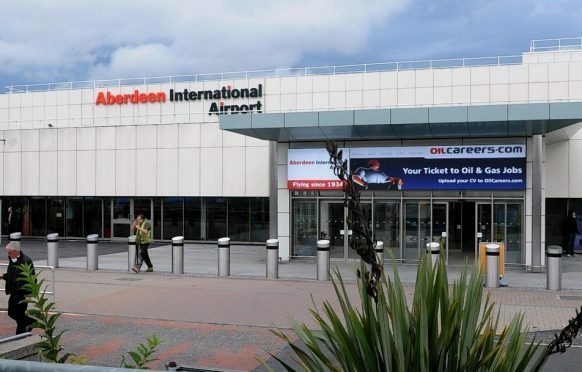 A petition to re-instate a popular flight between Aberdeen and London has reached almost 1,300 signatures. EasyJet axed its budget trip between the Granite City and Gatwick last month, blaming a “reduction in demand”. The decision sparked outcry in the north-east as the route was a popular one for businesses and people travelling between the two to visit family and friends. A petition was launched by Rachel May, who lives in Newtonhill, and Val Fry, from Fetterangus, in an effort to persuade the airline to overturn its decision. More than 1,280 people have since put their names to the online campaign, showing the strength of feeling among air passengers. Both Gordon and West Aberdeenshire and Kincardine MPs Colin Clark and Andrew Bowie have backed the public’s call for the route to be re-introduced. Ms May thanked the public for their support online. She wrote: “Val Fry and I have made some great progress over the last few days and have met up with the managing director of Aberdeen Airport. This has proved to be very positive and he is completely supportive of this petition. The airline has previously said that it concentrates its efforts on “maintaining and developing routes which prove most popular with passengers”. To sign the petition visit www.change.org and search for Gatwick Airport.